I would like to thank everyone who participated in my fundraiser for the victims of the earthquake and tsunami in Japan. 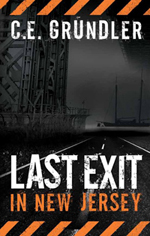 I realize many readers may have purchased Last Exit In New Jersey without knowledge of the fundraiser, though over the last week I definitely saw an increase in sales. 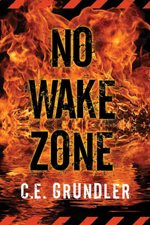 I would also like to thank any bloggers, tweeters and Facebook friends who took the time to share the information, both for myself and other authors participating. As I previously stated, though I announced the fund-raiser March 13, I am including the sales from March 1st through March 20, 2011. This letter serves as the tax receipt for your gift. Under the United States Internal Revenue Code, The American Red Cross is eligible to receive tax-deductible charitable contributions. Please see Internal Revenue Service Publications 526 and 1771 for official Federal government information on charitable contributions. Our tax identification number is 53-0196605. For reference purposes, you did not receive anything of value from the Red Cross in return for this donation. If you have any questions about your donation, please contact us at redcross.org/contactusdonor or call 1-800-RED-CROSS. Again, I would like to thank all involved. While this donation alone might not be much, combined with the donations from individuals, other authors and groups, they all add up to make a difference.